Uglyworld #316 - Ice-Bat Excitedly Watches Wage, originally uploaded by www.bazpics.com. 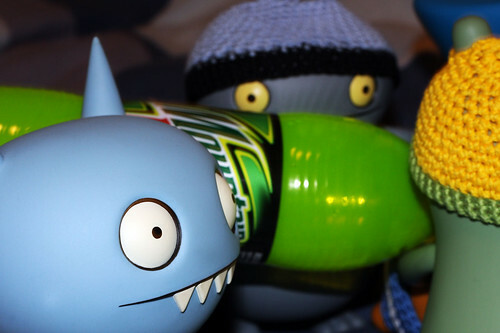 Ice-Bat was feeling most scared of the 4 man team who were trying to bring Wage back to normal, all down to the fact that he drank the last can of the fabled Irn-Bru (something he now knows was a bad idea). He's really happy that Babo is so smart and always has the other uglies backs in times of crisis, and is really excited to see whether or not the masterplan works!! !